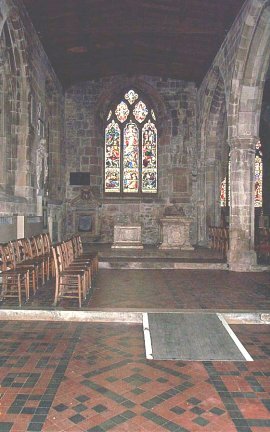 The North Choir Aisle, looking East. There are two chest tombs below the window. The left-hand tomb is for Ralph Gell who died in 1564, the right-hand tomb is for his son Anthony, who died in 1583. Anthony Gell founded the the Free school and the Almshouses.